Farm loan waivers can bring only temporary relief. 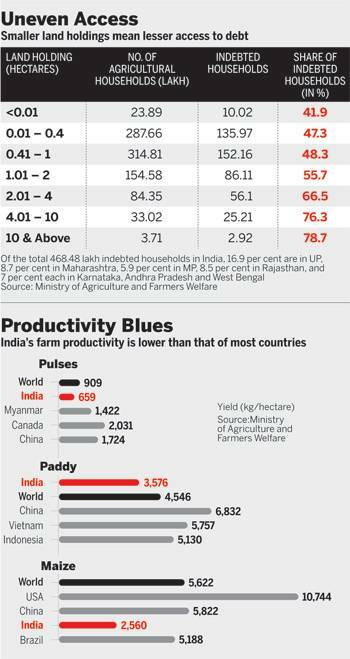 India needs long-term supply chain and technology reforms if it has to have any chance of tackling farmer discontent. PM Narendra Modi believes in dreaming big. Not surprisingly, he set his sights on easing the acute agrarian distress across India after assuming office. The target: Doubling farmers income by 2022. A tall order? Perhaps, but Modi is leaving no stone unturned to get there, doggedly battling the odds. Indeed, amid the clamour for agriculture loan waivers from farmers across the country, the Modi administration is quietly attempting to bring alive a series of agricultural reforms initiated by the Atal Bihari Vajpayee-led NDA government in 2002, and dumped by the Manmohan Singh-led UPA government four years later. "675 Districts will capture early signals of agrarian distress for quick remedial interventions"
Under its "doubling of farmers' income" plan, the Modi government may do away with most of the restrictions that had limited the free moment of agricultural produce within the country and outside. While the Centre may leave the burden of providing farm loan waivers - and hence immediate relief to farmers in distress - to the state governments, it is trying to ensure sustained income security to the farmers through medium to long-term policy initiatives. 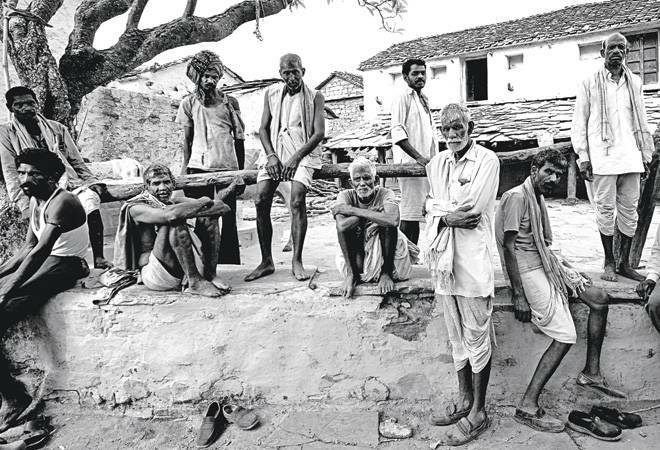 "Farmers' distress is something we have inherited over the last 60 years. Here is a government that has set a target, whether it is doubling farmers' income, or housing for the poor. 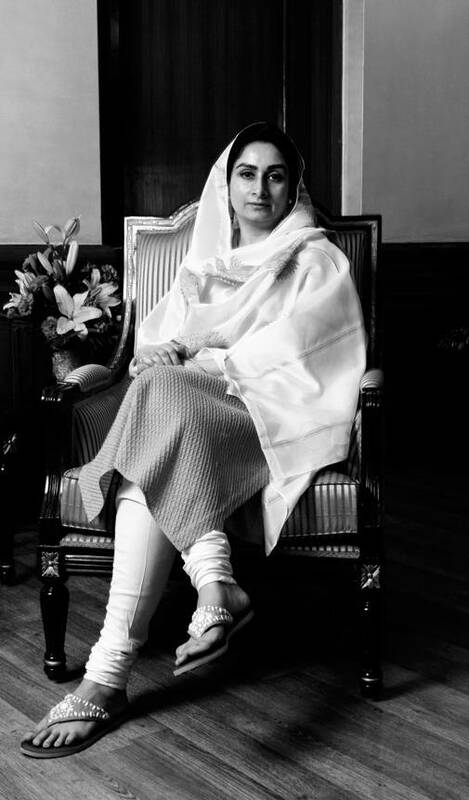 Our prime minister has set a target, and we will work towards it," says Harsimrat Kaur Badal, Union Minister of Food Processing. On March 22, the Central government proposed an institutional mechanism to monitor farmers' welfare in all states and Union Territories of the country. The plan was to constitute a committee of elected representatives, bureaucrats and farmers in each of India's 675 districts to capture early signals of agrarian distress for quick remedial interventions. A state minister was supposed to chair the committee and a local MP (Member of Parliament) its co-chair. In the months that followed, increasing instances of farmer suicides and mounting clamour for agricultural loan waivers from farmers across the country suggest that the Centre's intervention was perhaps too late for any effective impact. At least, for the current crop season. That is why, despite a bumper crop and a favourable monsoon after two years of successive droughts, income security eludes Indian farmers. "We found a situation of acute distress in the region (Madhya Pradesh) as prices of most crops have crashed and are about 60 per cent below the prices of last year," says Vijoo Krishnan, joint secretary of All-India Kisan Sabha (AIKS), a farmer's organisation. Krishnan was part of an AIKS team that visited Mandsaur, the epicentre of farmers' agitation in Madhya Pradesh, a state that tops in agricultural productivity and growth for over a decade. "Soybean fetched `5,000 to `6,000 per quintal (qtl) last year and is now getting only Rs 2,200 to Rs 2,400 per qtl. Chana which fetched upto Rs 9,000 to Rs 10,000 per qtl is getting only Rs 4,000 per qtl. The best quality wheat is fetching only Rs 1,200 per qtl, which is way below the government fixed minimum support price (MSP) of Rs 1,625 per qtl," says Krishnan. According to AIKS, the current crisis was the result of the cash crunch that followed Narendra Modi government's high-profile decision to demonetise high value currencies in November 2016. It could have played a role, but it would be too simplistic to see demonetisation, bumper production or price crash as the only triggers for the recent nationwide farmer discontent. These are only manifestations of the inherent vulnerability of Indian agriculture. Loan waivers and MSP fixations are at best stop-gap arrangements. Ashok Dalwai, Additional Secretary at the Union Agriculture Ministry, has no doubts about the cause of the current crisis. "We have now recognised that our approach should not be production-oriented. All the problems that we see today is not one of production, but the failure to monetise the value of production," says Dalwai, who heads a committee tasked with the job of suggesting ways to double farmers' income. Finding a market for agricultural produce, and ensuring predictable and profitable prices on a sustained basis is thus the solution that he advocates. In all likelihood, the suggestion will find a prominent place in the draft "Doubling of Farmers' Income" report that will be placed in the public domain soon. Systemic Problem: Ramesh Chand, agriculture expert and a member of apex think-tank Niti Aayog, points out that government policies affect production, price realisation and farmers' income in a large number of ways. In a Niti Aayog paper on the "rational, strategy, prospects and action plan" for doubling farmers' income, Chand says that the persistent efforts of successive governments during the last one and a half decades to reform agricultural markets in tune with the country's larger economic liberalisation strategy has been largely unsuccessful. "Besides marketing, serious restrictions remain on land leasing and harvest and transit of trees and woody material raised on private land which deprives farmers from raising their income." What Chand talks about is the restrictive nature of India's Agricultural Produce Market Committee (APMC) system. It restricts the farmer's market to the local trader. India's agricultural marketing-related rules restrict inter-state movement of goods and prescribe stock limits for various commodities. It curtails the ability of private traders to raise working capital and prevents exports. It even restricts the end-use of foodgrains. "The whole eco-system is anti-market. Our APMC market system restricts the market to the local trader, and does not allow transfer of surpluses to even other districts. The government restricts stock volumes through the Essential Commodities Act, which is draconian. Private sector is not a major player in the market because of huge amount of restrictions," says Pravesh Sharma, a former bureaucrat, who now runs an agri-marketing firm. According to Sharma, even the Reserve Bank of India's (RBI) approach towards inflation targeting is working against the interest of farmers. "We are the only country among large countries which has adopted this mechanism, where the share of food articles in the Consumer Price Index (CPI) is almost 50 per cent. In the advanced economies, the share of food articles is less than 15 per cent. So it is very clear that to control inflation, RBI will have to have a monetary policy that will see farm prices depressed," he says. The implication is that the policy will even dissuade the government from giving very high MSP increase and hold very large stocks, asserts Sharma. It should be recalled that one of the quick measures adopted by the Modi government to arrest food inflation last year was to avoid giving any major bonanza to the farmers by way of a steep increase in MSP. While the MSP fixed for paddy during the kharif season in 2016/17 was 4.3 per cent higher than the previous year, wheat MSP for the rabi season in 2016/17 was higher by 6.6 per cent. Experts say that the MSP increase hardly helped the farmers recoup the production cost. It is also a fact that the inflation rate for the month of April 2017 remained at 2.99 per cent largely due to a 0.61 per cent increase in consumer food price index (which has a 47.25 per cent weightage in the overall price index). A year ago, a 6.4 per cent food inflation had pushed the overall inflation to 5.47 per cent. The government's failure to increase the level of foodgrain procurement had also compelled farmers to sell their produce below MSP rates. While the procurement agencies do share some blame, it was also an unintended consequence of the government's attempt to clean up India's food procurement system and avoid wastages. Rational procurement to ensure less wastage (due to lack of storage facility) must have also led to residual stocks with the farmers. In fact, there is near-unanimity among experts on the possible causes for farmer's distress. 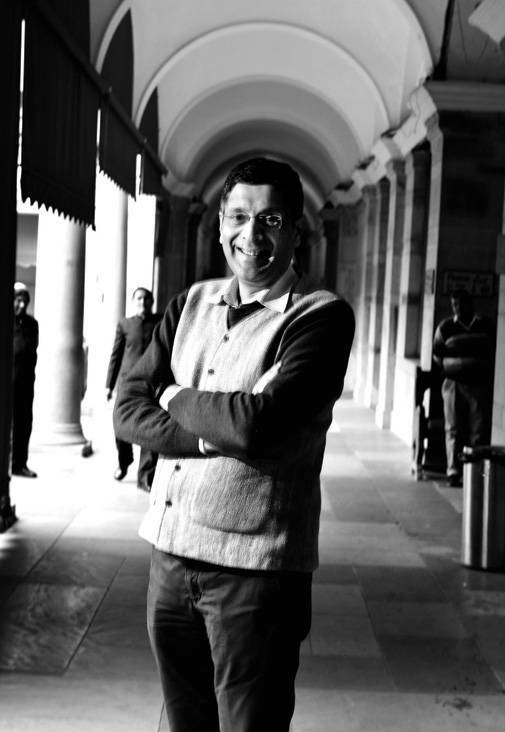 Arvind Subramanian, Chief Economic Adviser to the Government of India, also attributes the huge variation that exists between the farm price, wholesale price and retail price to the fragmented and restrictive agricultural market system. "They (farmers) don't get effective procurement, they are not able to sell wherever they want," he says. Subramanian also hints at the possibility of a "credit" crisis that left the marginal farmer in distress. In the Economic Survey 2014/15, Subramanian hints that though the total agricultural credit has grown over eight times in nominal terms in the last 15 years, it may not have gone into the deserving hands. The survey observes that there has been a substantial increase in the share of agricultural credit outstanding that emanates from the urban and metropolitan areas. There has also been a concentration of disbursal of agricultural credit from January to March, which is generally not the normal period of borrowing by farmers. It seems to suggest that in order to meet priority sector lending targets, banks possibly raise their lending activity in months when farmers may not necessarily need it the most. The survey had also pointed out that there was a sharp decrease in the share of long-term credit in total agricultural credit, indicating that the portion of agricultural credit that was used for capital formation was becoming small. The survey hints that the trends indicate that lending to agriculture is going predominantly to large farmers, is not being used for agricultural capital formation and perhaps a large share of it may not be going to core agricultural activities at all. Lack of credit, thus, remains a problem for the farmer. Doubling of Farmer's Income: It's been almost a year since the government announced the constitution of a committee to suggest ways to ensure income security for the farmers. The work is in progress, and the committee will come out with recommendations that will touch upon all the issues plaguing agricultural sector and suggest remedial measures, Dalwai says. He also says that the policy measures to tackle several of these issues are being undertaken alongside the preparation of the report. "We are working in parallel. A model Agricultural Produce and Livestock Marketing (Promotion and Facilitation) Act has been recently notified," he adds. The new Act replaces the existing APMC Act and provides a level playing field for both private sector and public sector player. The new Act defines a state as a single market. It promotes direct interface between farmers and processors, and provides complete freedom to the farmers to sell their produce to whoever they want. Promotion of private market yards and e-trading, rationalisation of market fee and commission charges are the other highlights of the new law. Dalwai also informed that government will soon come out with a model contract farming law that will be completely delinked with APMC Acts of states. The government is also working on a plan to create a central data base of all storage facilities in the country to have district storage plans. An official committee has been asked to suggest ways and means to promote trading on warehouse receipts and make credit accessible to farmers to help them avoid distress sale of their produce. Learnings from the Past: It would be incorrect to say that attempts to liberalise Indian agriculture sector were not made before. In 2002, the NDA government under Atal Bihari Vajpayee had brought a series of reforms in the agriculture sector in quick succession. Niti Aayog's Chand says that this included removal of stock limits, licensing requirements and movement restrictions on specified food items. Thus wheat, paddy, coarse grains, sugar, edible oilseeds, pulses, gur, wheat products and vanaspati were taken out of Essential Commodities Act (EC Act). There was no licence required for their trade, storage and movement. Removal of prohibition on future trading in any commodity followed. The first model APMC Act was also prepared during the same time. Incidentally, Chand notes, that changes made in the EC Act were reversed by the Manmohan Singh-led UPA government in 2006 and 2007. The adoption of APMC Act was in a highly diluted form. This, according to Chand, created a wide disparity in growth between agriculture and non-agricultural sectors. He advocates the need for competitive markets and freedom and removal of various restrictions on marketing and land lease as the way forward. The committee to suggest ways to double farmers' income is to present its views in at least a dozen volumes. The first three ones - on the growth projections, post production and marketing will be out for public debate soon. One needs to see the final shape of these recommendations. And the final decision that the government takes. The parallel developments can take care of certain teething problems, but convergence can happen only through an integrated approach. The preliminary report of crop coverage for the kharif season so far indicates a softening of sowing in several crops. Given the predictions of good monsoons for the year, one can still expect another year of record production. The loan waiver can only provide a temporary relief to the farmer for this season. If post-production and income perils are not taken care of, farmer distress will continue as a recurring theme. Immediate relief is essential, but focus should be on long term sustainable solutions. "We Need Rs 8,00,000 Crore"